Did you found that when weekend come, besides shopping at shopping mall, it looks like there is nowhere to go? Well, here is the place I would to introduce you – Tg. Sepat, even though it is not consider extremely fun to go, but it is really a good place for family to spend a weekend there. 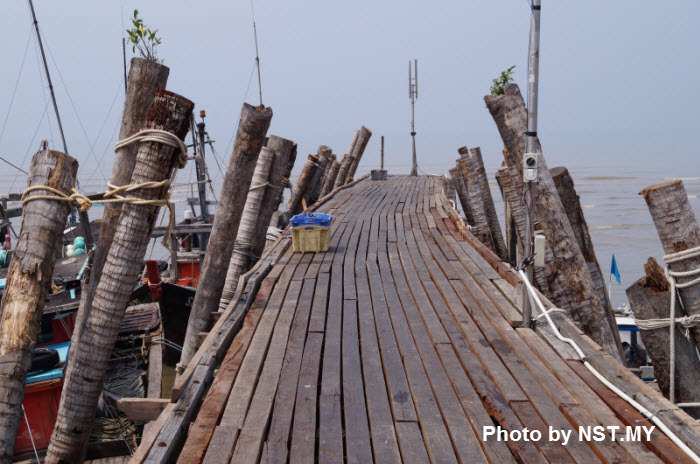 The journey from Kuala Lumpur to Tanjung Sepat took approximately 1 and half hour. There are 2 routes you can take, one route is coming from Klang/Banting/Morib, another route is coming from Sepang. 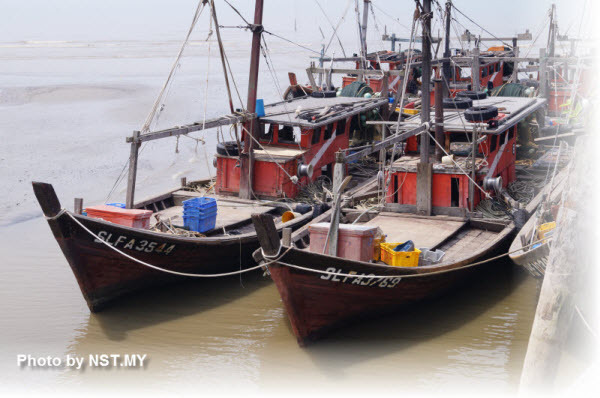 What are the places we can visit in Tanjung sepat? Below is the map showing all the interesting places you can go. Tanjung Sepat Map, if you wish to have a larger map, please email to request. 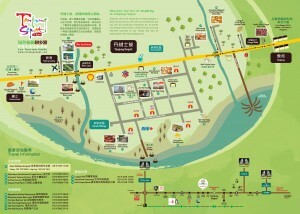 We are driving from Klang direction and the first place we go is Kuan Wellness Eco Park. When you arrive morib, drive for about 6km and you will see a mini windmill or your left hand side, and you have to turn in and go straight, you will see Kuan wellness eco Park. It is not a big place, but there are a few things you can see. When we first arrive, we are invited to watch a video showing the information about the bird nest. It is a pretty good video and we got some knowledge about the bird nest. After watching the video you will come to a showroom selling bird nest and you can see some workers processing the bird nest. Then you can go to their eco farm, where there is some birds and small animals. There are also some nice spot for you to take photos. Near the car park there, there are some antique cars, where you can take photos too. I did not take the picture of the antique cars because when I was helping my family to take pictures, my hubby and my daughter already inside the car waiting for us. Our next stop is Lover Bridge and have lunch at the restaurant just beside the Lover Bridge. The best thing of visit the lover bridge at this time is, there are no people there and you can enjoying walking and taking photo there. But if you would like to take the picture of sunset and see all the fisher man bringing home their harvest, then you should come in the evening. You have to prepare for the busy of the lover bridge. The lover bridge is quite long, you will see the fishing boat when you walk until end of the bridge. 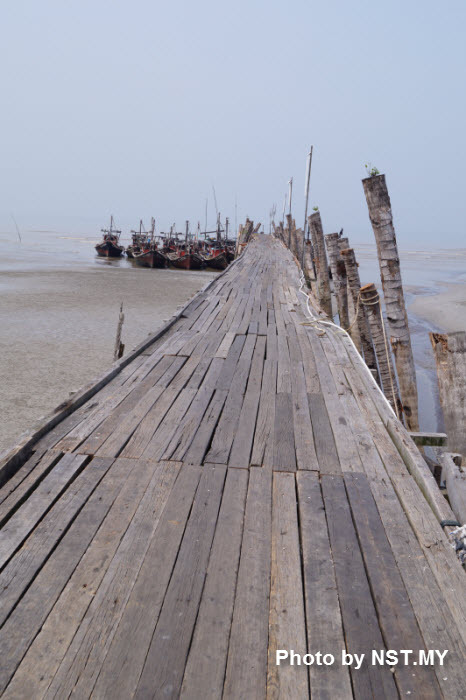 Since morning time is low tide, you can see some boys walking down the bridge trying to dig out clam( I guess). It was so hot in the morning and we have to carry an umbrella while walking on the bridge. The restaurant we went, I found it out from the Internet, it said the food is good and price is cheap. And it mentioned that we have to go before 12 or else will have to wait very long time. Well, I guess the story was few years ago. I went there 11:30am, there was nobody there, after I have finished walking on the Lover Bridge, the time is around 12pm, but still have plenty of space available. I have ordered fried oyster with tapioca starch, the taste is not bad, other food I ordered like fried sotong which he recommended, clam or we called lala, mixed vegetables, all these food what I can said is consider ok only. The clam is small and not fresh, compare to the clam I have at Klang Boston Restaurant, this one consider not good. In conclusion, I would recommend you to go to their local food stall or kopitiam to have your lunch, which is cheaper and you might find some unexpected good food too. For all this seafood restaurant, it is mainly doing tourist business, the price still consider cheap compare to KL, but food quality is below average. Since I only have visited one seafood restaurant in Tg. Sepat, there might have others nice seafood restaurant out there, so above is just my opinion. Next stop, Ganofarm (Mushroom & Lingzi farm), this place is very near to the Lover Bridge, so after we have our lunch we just head to the Ganofarm. Ganofarm is a place where they plant Mushroom & Lingzi. Well, it will be good if there is someone there to explain to the tourist about their mushroom. Unfortunately, there is no one there, we just take a look by ourselves and all the information about the differences and the uses of the mushroom are written on a board. After seeing the mushroom, there was a showroom selling all kind of mushroom and mushroom products. 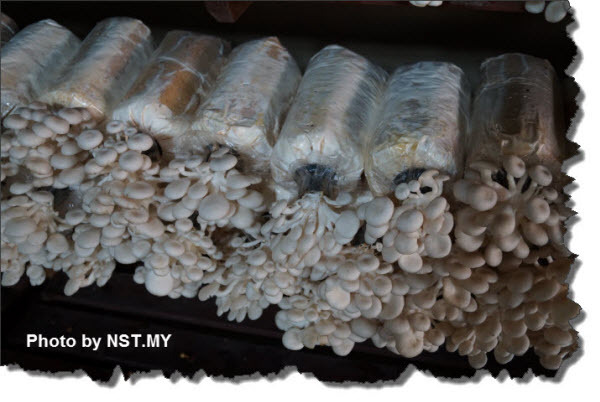 The mushroom here is cheap, the most important thing is , it is very fresh. You will felt the different from the one you bought from hypermarket. There are also some mushroom drinks for you to try out. There have Lingzhi drinks, black fungus drinks, Aloe Vera drinks etc. You can try it out before you buy. Next stop, Joo Fa Trading, a very small place where the raw coffee process. The owner told us, the best time to visit is in the morning, where you can see the whole process. The time we were there we miss the frying coffee part. But the owner still patiently explained the whole process to us. My memory is not good, therefore I did not remember all the process, I have took some pictures, you can take a look and roughly have an idea. If you really interested in Coffee, then you must visit the factory. Next, we went to Hai Yew Heng, which is just next street of the Joo Fa Trading. What special about Hai Yew Heng? Well, they are famous with pau. Search from blog and was told their pau were tasty and popular, and t he queue is long and some pau will finish within minutes. When I was there there is no long queue and I can get any favor of pau I have. Looks like the long Q story is also long time ago. 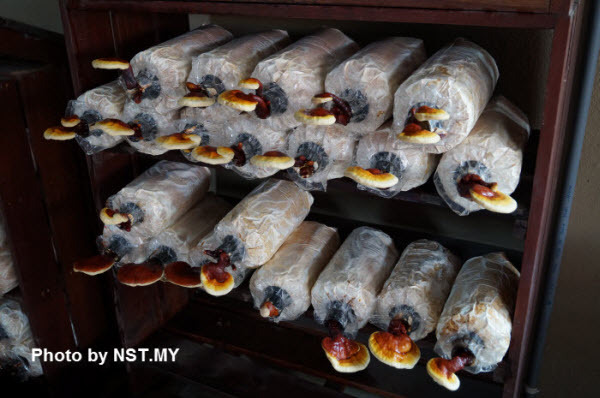 Their famous pau is the Meat pau and Mui choy pau. For me the Meat Pau is not bad, the taste is a bit like chay siew and inside is come with egg. For Mui Choy pau, it has Mui choy and meat inside, I found it was too dry, if it is a bit juicy then it will be nice. You can see some ah Ma, busy wrapping the pau. I felt disappointed when I received my pau, because it was cold, I expected it was hot like freshly steamed. They should have a warmer like those kopitiam to keep the pau warm. I also saw some fly standing on the pau at the pau rack for few mins. So I would suggest you to remove the pau skin before you consume. Next to the pau shop is also a shop selling coffee, the environment is quite nice, you can try their coffee there, and take the picture of their antique machine. After buying pau, we head to Fish Ball factory. The fish ball factory is just a shop lot size and the floor is wet and slippery. Since it is small, so I just called it shop instead of factory. , there is nobody there to explain to you what they are doing, the staff there just busy doing their own things. There are so many flies in the shop, therefore I am not feeling buying any fish ball from them. Next stop, Arowana Malayan Food Industries. This is a factory selling homemade tapioca chips and banana chips. You can take a look on how their process, but nothing much to see. So if you are not planning to buy tidbits, then you can skip this place. The factory is attached with a shop selling all their products. There are samples for you to taste before you buy. Next we head to dragon fruit farm, the farm is at sg. Pelek, therefore it tooks about 20-30 mins to reach there. There are a few animals to see, monkey, tortoise,etc and of course you will see a lot of dragon fruits plants. After buying some dragon fruits, we went to Sepang Gold Coast. There is a public beach and sepang gold coast private beach. For private beach, you must be a customer who stay in their room to enjoy it. Here comes to the end of the tg. Sepat trips. I hope you enjoy reading this article. If you have any questions after this trip, feel free to contact me. 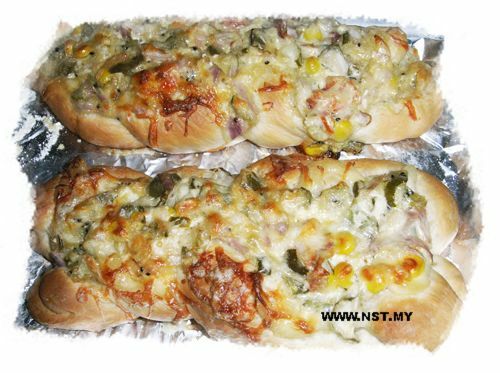 recipe and hope you will like it. 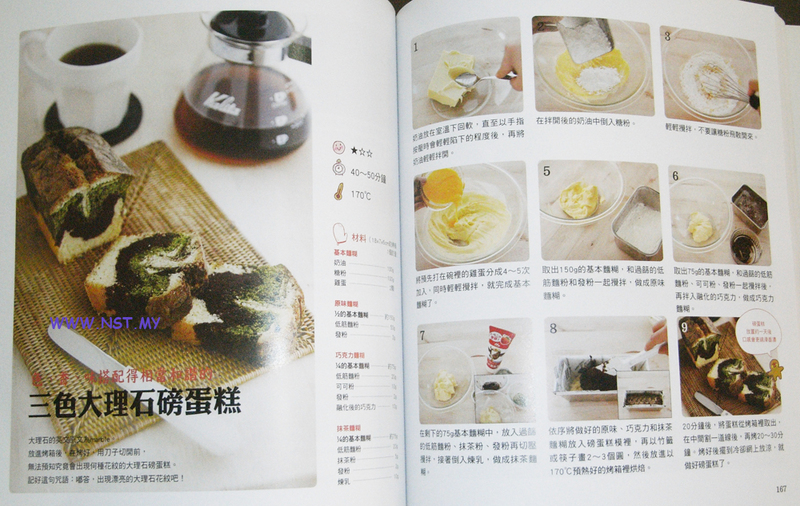 The recipe is modify by me, therefore the taste will have a bit different from the original one. 1. Stir fry the ginger without oil until dry. 2. Add in sesame oil, garlic, chilli pade and saute. 3. Then add in soy sauce, rice wine, black soy sauce, oyster sauce and rock sugar and cook until the sauce is thick,next at in eryngii and stir-fry for a few mins. 4 fried, add a little water if too dry, but not too much. Finally,add in basil, fried and serve. Last few months, I have tasted a dish in a restaurant and fall in love with in. It looks like very simple, therefore I have tried it myself. I am not sure whether the outcome is the same, but the taste is good too. 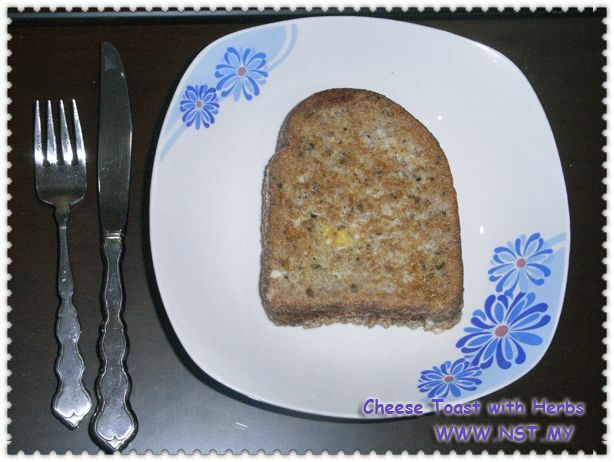 Here I would like to share my very own cheese toast with herbs recipe. Hope you all will like it. 1. Beat the egg and add in some Italian Mixed Herbs. 2. Put the cheddar cheese between 2 slice of breads. 3. Dip the bread into no.1 until the whole bread is soak with egg. 4. Heat the pan, add in oil and fry the bread until golden brown. Hope you enjoy this simple breakfast!! All the items below are pre-order items, it will arrive estimate Nov 19, last day to pre-order is Sept 16. - Full payment has to be made upon confirmation of order. Which is total order + postage. -Payment have to make the latest on Sept 16. 11am. Order will cancel if no payment receive on Sept 16- Prices shown are not negotiable . - No exchange or refund of items. - No cancellation after payment is made. - A full refund will be made if item/s is/are Out of Stock. It has been very long time that I did not write anything on my blog. This is because recently I am spending more time on handmade instead of on bento, you can visit my another facebook fans to have a look of my handmade http://facebook.com/hmparadise. 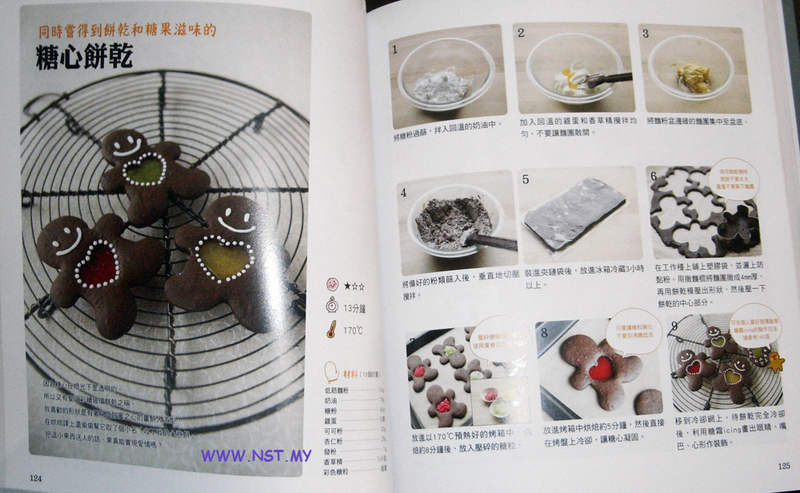 Today, I am going to introduce a very useful and I find very interesting product, which is the square bread mould. 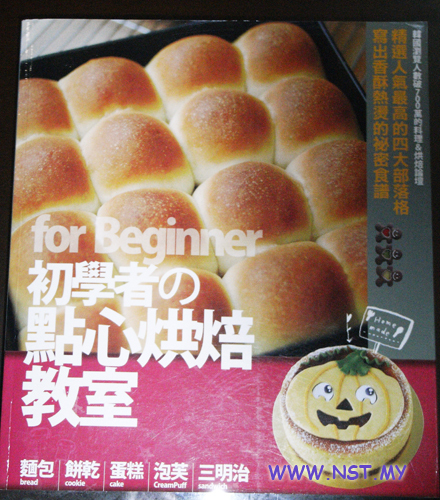 This mould can instantly cut your bread into 4 mini bread with filling inside like the picture show below. It saves your time and it is the right size for your kids. For fillings, you can put jams, egg, tuna, ham, cheese, chocolate ,chicken, hot dog ,etc. From monday to Friday, you can come out with different bread for breakfast. The fun part is you can decorate your square bread with your bento tools. Below are some ideas that how you can decorate your square bread. I got all these pictures from Internet, the picture there have the blogger or website url, you can visit their website for more details. All the items below are pre-order items, it will arrive estimate Aug 22, last day to pre-order is July 9. -Payment have to make the latest on July 9. 6pm. Order will cancel if no payment receive on May 5- Prices shown are not negotiable . -Payment have to make the latest on May 5. 6pm. Order will cancel if no payment receive on May 5- Prices shown are not negotiable .